After doing this “shortest show on Dutch radio” for about seven years Piet wanted to do other things (he is a well known graphic designer) and he asked if I would like to continue the show. Which I gladly did, for another fifteen years. 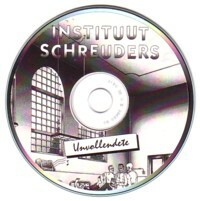 Recently Jack surprised me with a CDr with some of the material that was played in Instituut Schreuders and I immediately missed the show. The availability of almost all recorded music, thanks to the Internet and modern technology (MP3, CDRr, Bit Torrent, etcetera), seems to have dulled many people in doing something creative with all the stuff. Collecting is not enough, you have to let your collection work for you and share it with others. Music dies if it has no context. 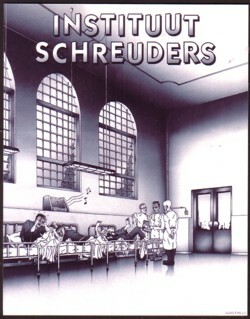 Anyway, I was working on a CD compilation with variations on the James Bond Theme last night (because I bought a 45 with an embarrassing early house version of the theme yesterday) and that is why I picked the Instituut Schreuders compilation from the shelves. And that is why you are now reading all this not very interesting information today. 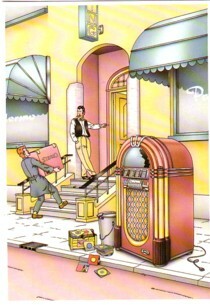 Because on the CD is this track by The Surf Champions.